… you are invited to visit my other blog at disruptec.co, where I publish about this and other related topics. Have figured out that it does not need 2 different blogs. Thanks for following me and see you there. Glad to learn that some more people are working on the idea to make Panama a hightech hub: Visit pandemonio.io and find out more about their event on February 15-17, 2017 in Panama City’s Westin Playa Bonita resort. Technology isn’t a cost of doing business. Two days of thought-provoking keynotes and deep-dive breakouts. The technologies and trends that are fundamentally reshaping modern business. The people behind the most admired companies and most disruptive ideas on the planet. First class presenters, 2 days, in a stunning place, right beside the Panama Canal Pacific entrance. As Panama is located between oceans and continents, it is luckily located outside any areas of natural hazards. Hurricanes happen in the Caribbean, but don’t reach Panama. Earthquakes happening in Colombia, Chile, Guatemala are sometimes felt, but have never hit Panama hard. Looking at the tectonic plates, Panama is placed in a sweet spot, right between, not inside active zones. Look at California, which is in a very different position, literally. Here’s the San Andreas fault, crossing the state from Southeast to Northwest, building tension for The Big One. Crossing the San Francisco Bay area, nobody knows when it will happen, but it will. Even a Small One will disrupt business and everyday routines for weeks. And a Plan B will not avoid this, possibly minimize consequences. I still remember years ago, when Texas-based hosting provider Rackspace Inc. made the case for having their data centers in regions far away from earthquake-prone regions, like California. They’ve got a reason. Data are precious, human lifes even more. Conclusion: Building your business in Panama instead of California means that a Plan B for natural hazards is not necessary. Startups don’t have to be in Silicon Valley – you can scale from almost anywhere these days. It’s part of a Peter Diamandis blogpost, that you can find here, together with a lot of more relevant information. Stay tuned for my next post and find out what Panama has to offer. If you as an entrepreneur are confident to build the next unicorn, a start-up with 1b market capitalization, then go ahead and settle in the Silicon Valley. Best choice. If not, there is a better place to start and run your business, to live and to invest. Why Panama? Living here for 8 years already, let me present my thoughts in a series of posts. “The Valley” began as a center for the capital-intense semiconductor and computer industry, followed by Internet software developers and service providers in the late 90s. Renting an office, hiring staff, setting up servers and workstations, purchasing software licenses was expensive and Venture Capital was a necessity to take off or to grow. These days are over. However, it has established a concentration of ideas and capital there as nowhere else in the world, now focusing to solve the big problems of mankind. Your ambitions are a bit smaller? Then you don’t have to pay the ridiculous price of living and working there. Establishing a business nowadays is much easier than a decade ago. No fancy office, desks and chairs. No permament hires, beside a core staff, people work project-based. No hardware investments, but BYOD. No software licenses, get everything cloud-based. No expensive marketing. Win followers by early release of a good-enough product. Conclusion: The capital demand for new endavours is low, as are entry barriers. So who needs VCs anyway anymore? It has been a while since I suggested to develop Panama as a “Second Home & Bootcamp Facility” for Silicon Valley corporations. As time goes by and things in tech are changing as fast a never before, my views have changed as well. Having seen how other places have tried to copy the Valley unsuccessfully, this place should move up in its own way. Coder courses, accelerators, VC firms – there is nothing that can’t be done here. What has to be created and nurtured is the mindset to go for top achievements. Few weeks only until the Panama Canal extension goes live. Time to seek a new challenge for the country connecting North with South America, the Atlantic and the Pacific Ocean. In an interesting blogpost, Peter Diamandis explained the success of the valley with the arrival of new-type coffee shops as place to gather and network, then with the high density of tech people, reducing the risk of failing, as there are many more positions and opportunities waiting. Based on that, the other ingredients – contributors, culture, capital – grew organically, cumulating innovation power, delivering success along the road. All this has been and is happening despite some harsh conditions, like climate, immigration and tax rules. How much easier should it be to achieve such success under Panama’s tropical living conditions, in its relaxed business, immigration and tax environment? 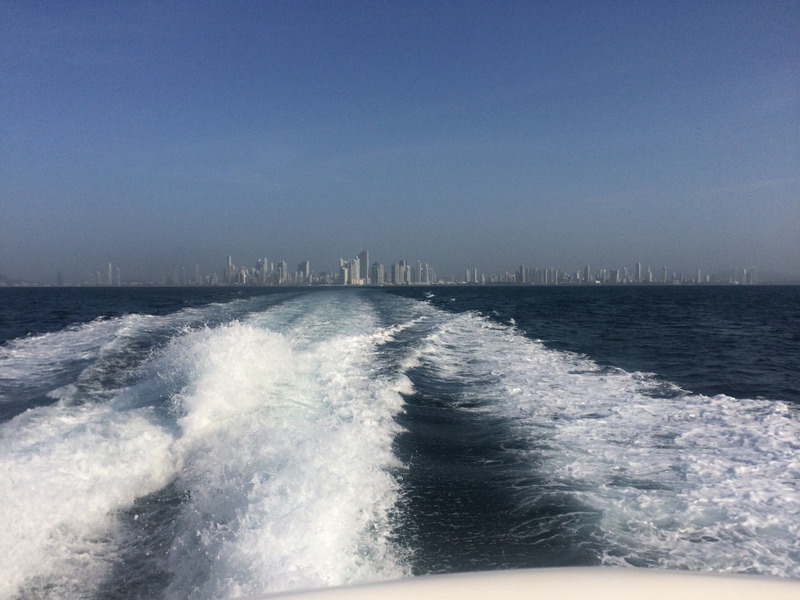 Being a successful entrepreneur in Panama appears to be much more attractive then up there. Lifestyle, costs of living, investment opportunities, to mention a few. Becoming a successful entrepreneur in Panama must not be more difficult. Creating perfect conditions to attract entrepreneurs to start and thrive their high-tech business here in Panama is the task at hand.